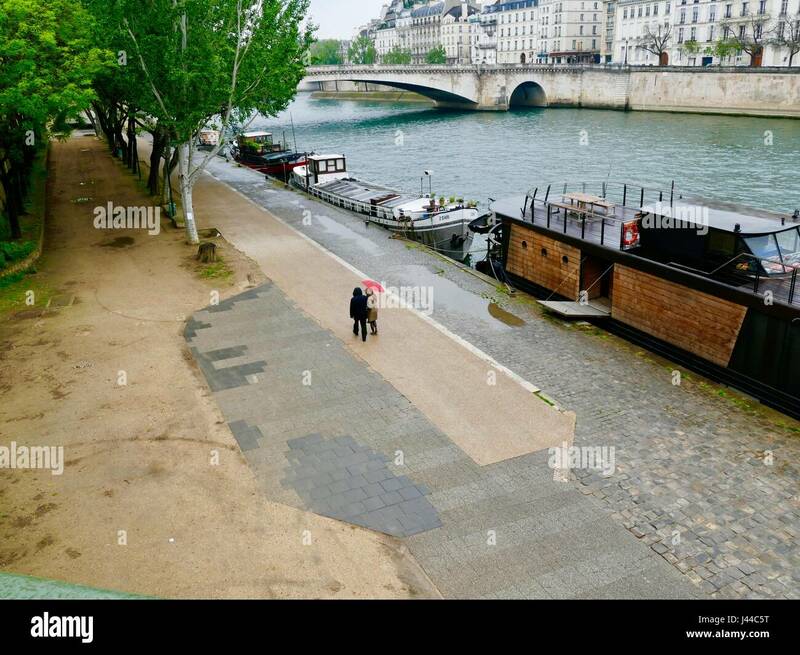 Couple in raincoats with red umbrella, walking along Seine River and boats in the rain. Quai de la Tournelle, Paris, France. 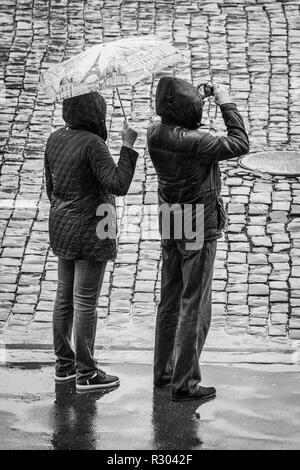 Tourists in the rain on Red Square, Moscow, Russia. 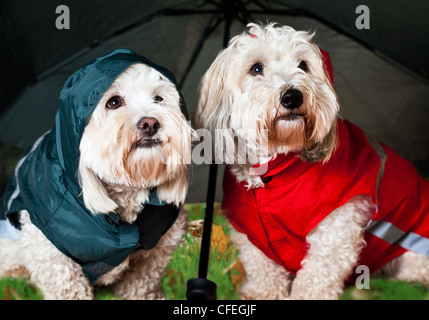 Man and woman wearing raincoats, holding umbrella while taking a photograph.